We now consider it an end of Summer tradition to plant cover crops in GriggsDakota. 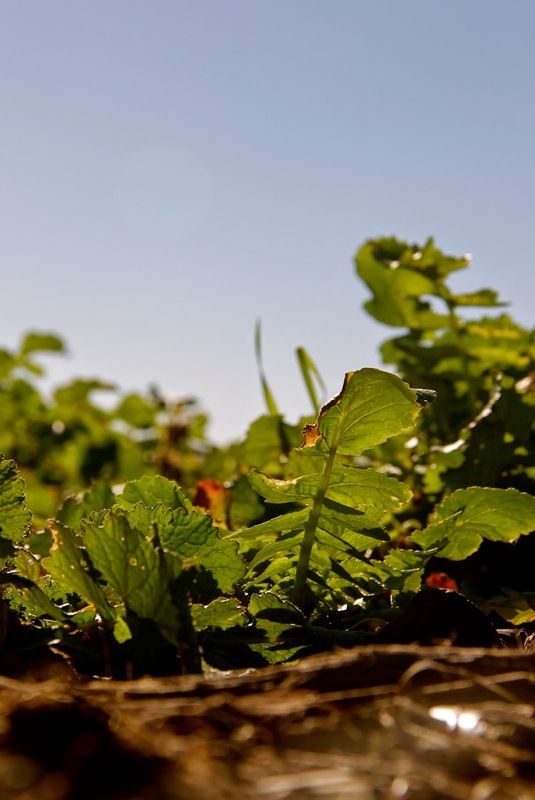 This year we planted cover crops on the second of August, early for us. We planted a mix of soybeans, turnips, and Tillage Radishes. Everything flourished. 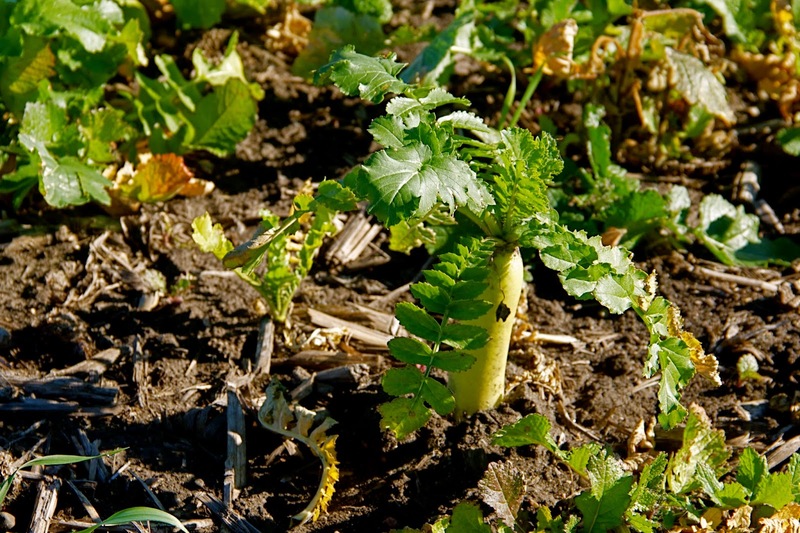 As you can see above, the Tillage radish grows so fast that some of the radish is visible above the ground. 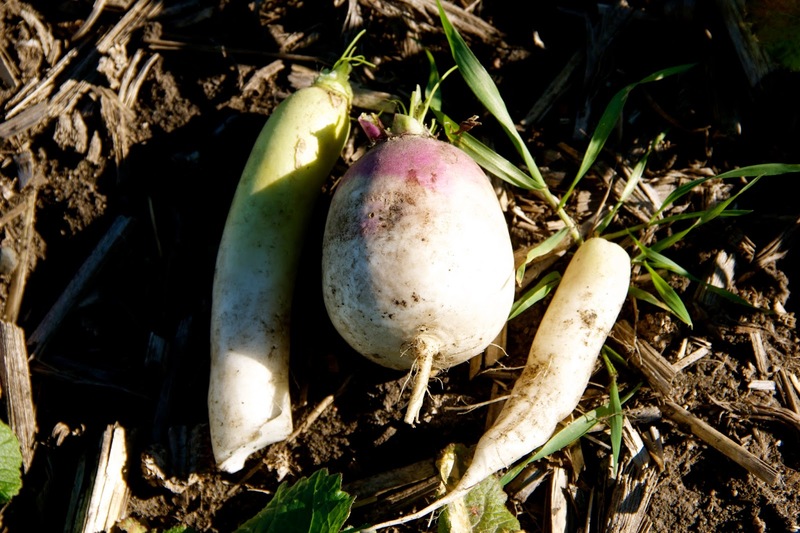 The radish grows down deep into the ground while the turnip grows wide and the fast growing soybean roots soften the soil. 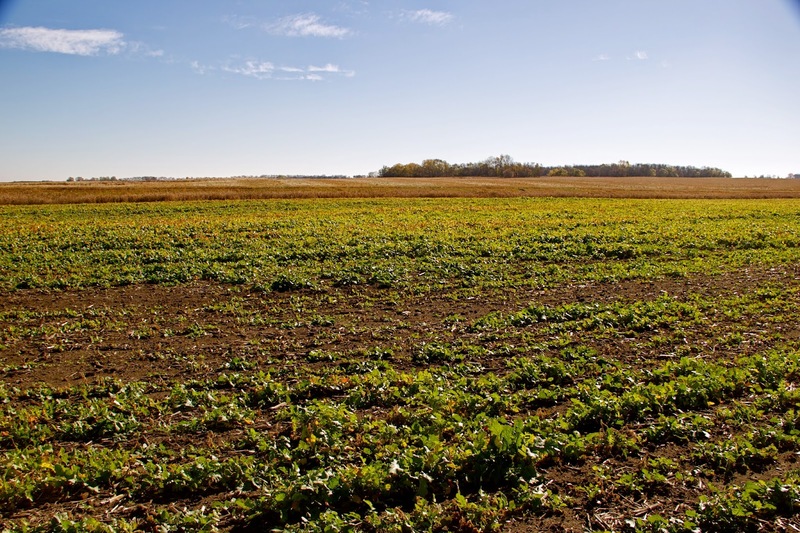 These plantings are not expected to produce a crop. Their purpose is to improve soil composition and chemistry. They use up moisture in the wet spots of the field while the growth softens the topsoil. 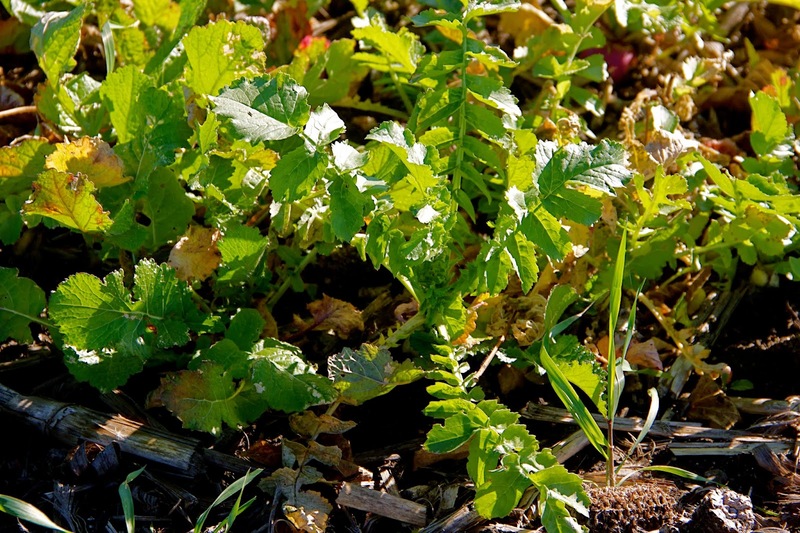 The cover crop is left to freeze and decompose on the field. 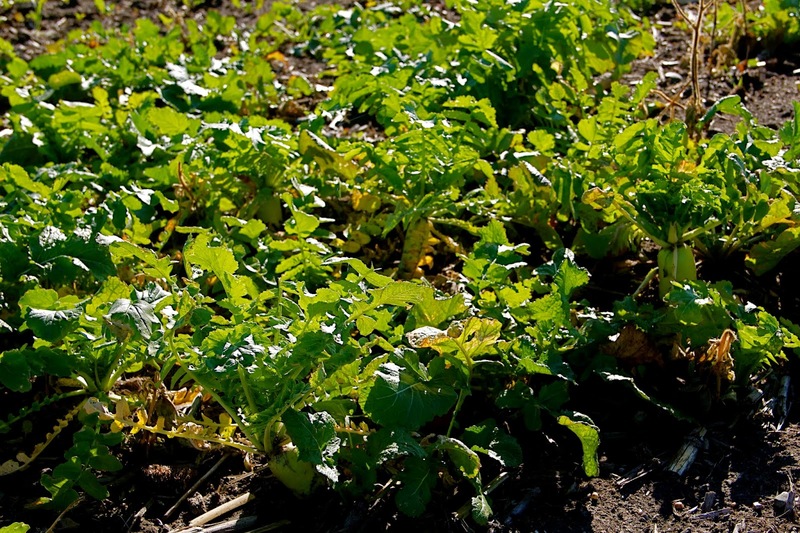 This season, because of the early planting date and late Fall, the cover crop acres turned into a food plot for humans. 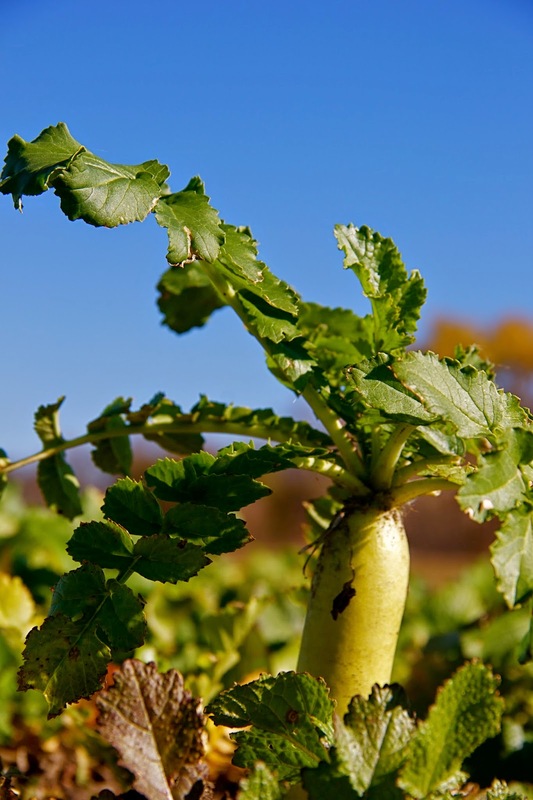 I found that a little radish goes a long way in a salad, but definitely perks up the flavor. The turnips cooked up deliciously. We allowed others to come out and pick, asking that they be judicious in not taking all the growth from any one area. 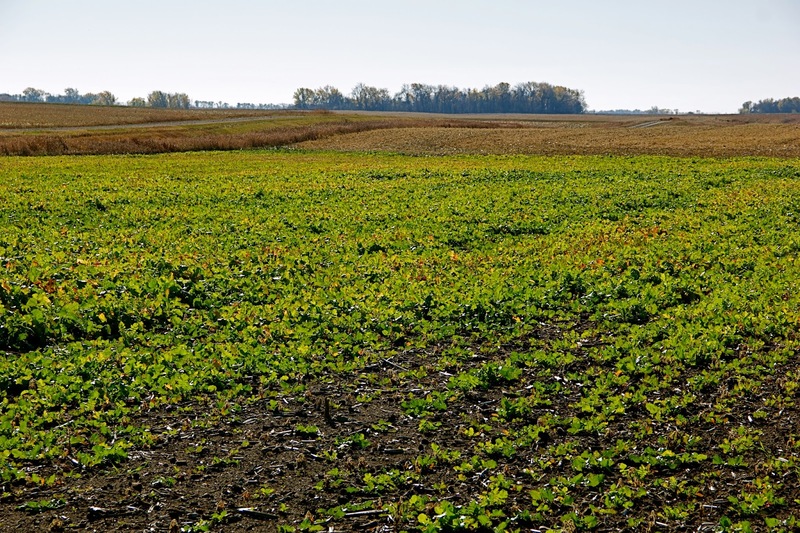 This year the cover crop provided winter food for more than wildlife in GriggsDakota.